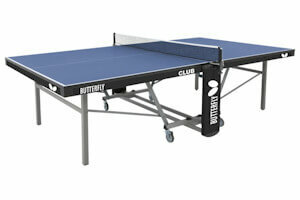 What's The Best Butterfly Table Tennis Table? 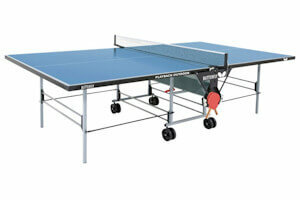 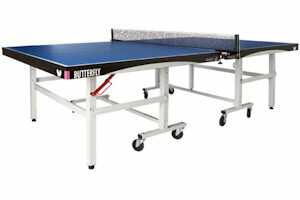 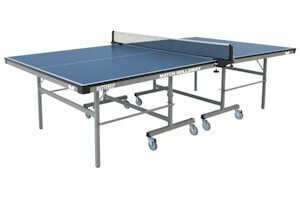 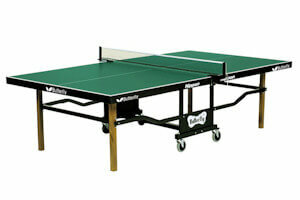 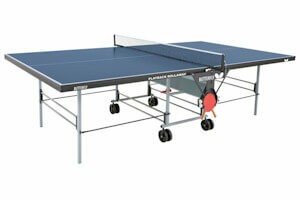 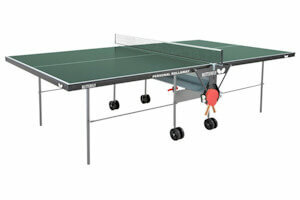 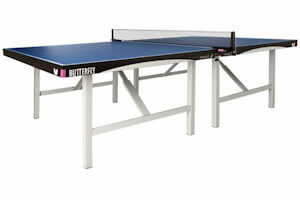 Butterfly are renowned for making some of the best table tennis tables you can buy. 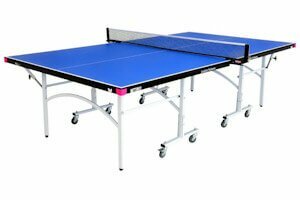 With a wide range of table tennis tables, each one is suitable for different situations, so it's important that you know what to look for and what you'll be getting for your money. 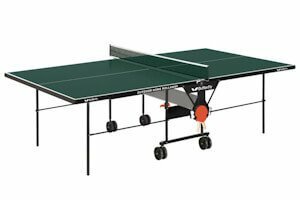 I have therefore summarised each Butterfly table for you on this page and when you click on more information you'll find a full description, additional pictures and lots of other information. 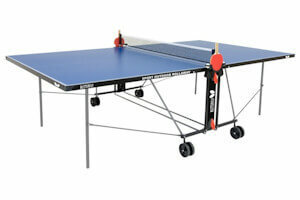 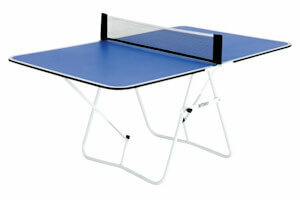 Indoor Butterfly table tennis tables can be categorised into three sections - Basic, Better and Best. 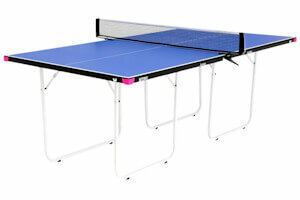 The principle differences between these Butterfly indoor table tennis tables is that on the "Basic" tables the playing surface is thinner and the undercarriage is lighter; whilst for the "Better" tables, the playing surface is slightly thicker and the undercarriage is sturdier; whilst the "Best" tables have the thickest playing surface and the most robust undercarriage. 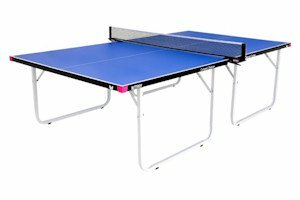 In addition, the very best tables are ITTF approved and also have an ITTF approved net supplied, whilst the Basic and Better tables are not ITTF approved and have a much lower quality net supplied. 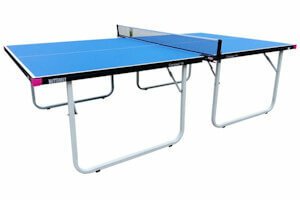 The Butterfly outdoor tables have weatherproof playing surfaces which are less prone to warping than indoor tables. 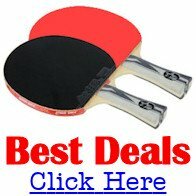 When you're looking at Butterfly tables, the latest tables have the brand name in capital letters, whereas older stock will have the brand name in lower case letters. 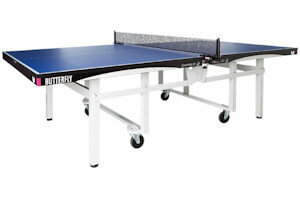 These tables are designated as Home tables by Butterfly. 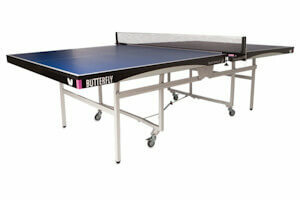 These tables are designated as Institutional tables by Butterfly. 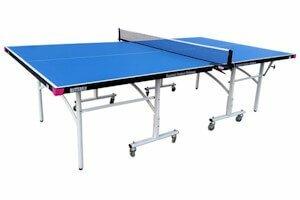 These tables are designated as Professional tables by Butterfly and are ITTF Approved.